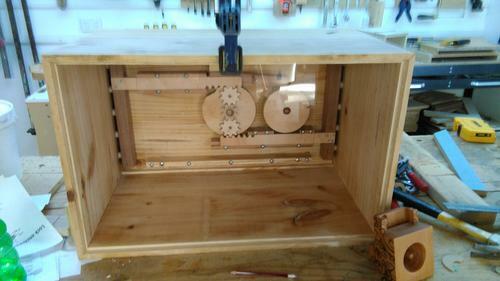 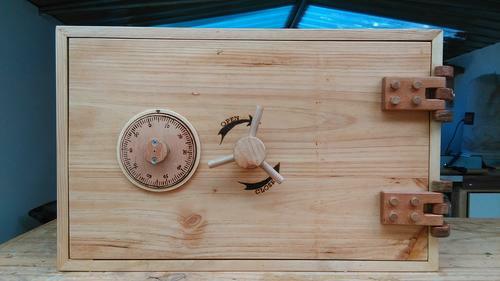 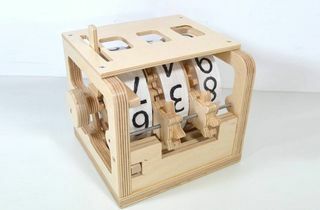 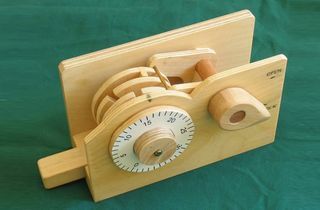 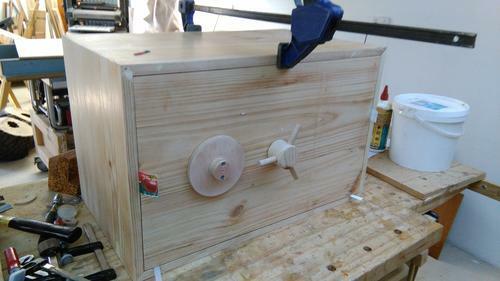 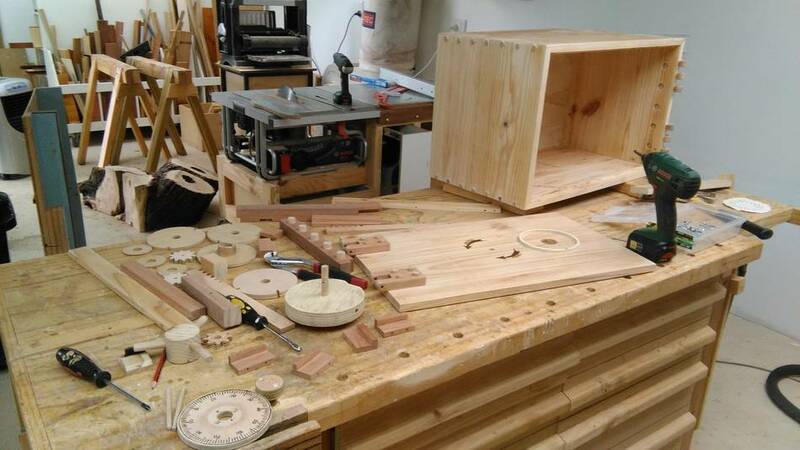 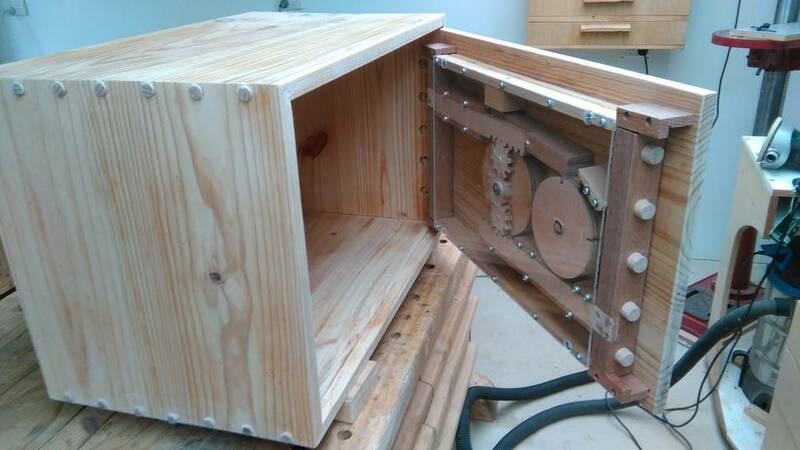 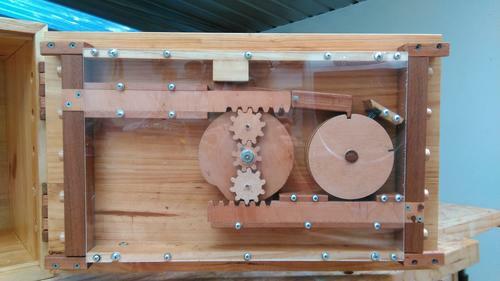 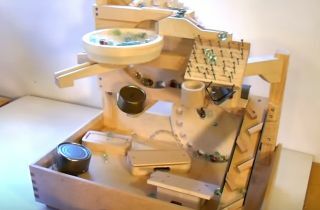 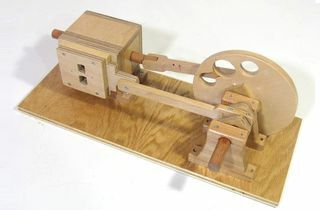 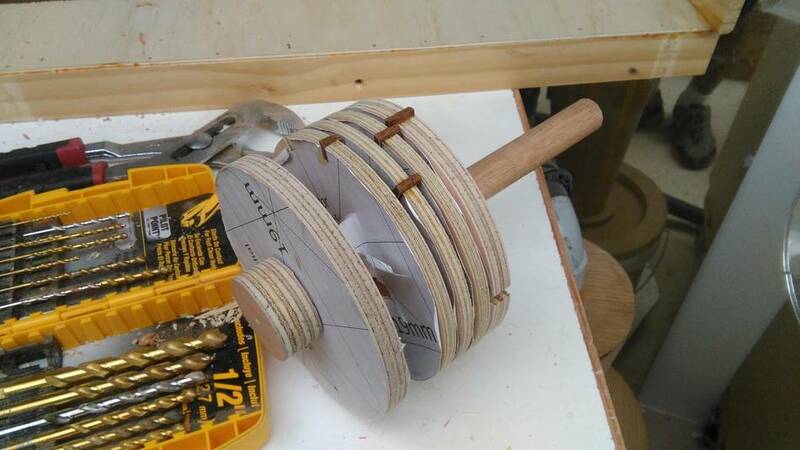 It's been a while since I built the band saw using your plans; recently I have built a wooden combination lock largely inspired by your combination lock, therefore I thought I would share some pictures of my wooden combination lock with you. 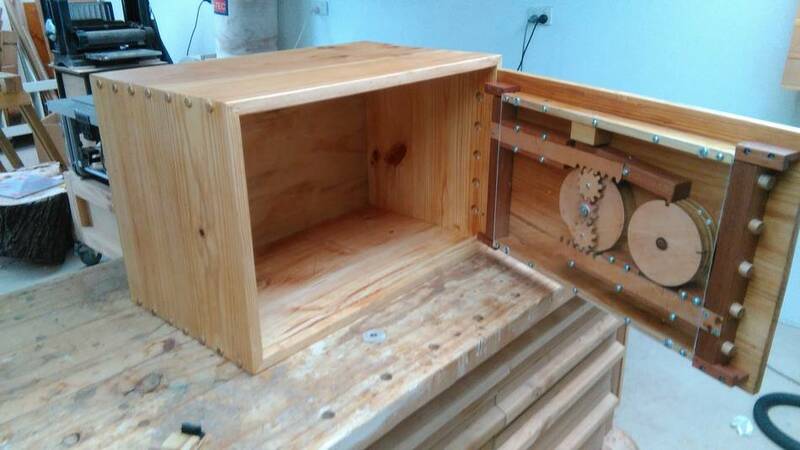 This is the rotor assembly, it has 4 rotors instead of three because at first I was going to have an automatic drop down bar which would make the last digit of the combination very easy to find, and also because it's a bit more secure, although at the end of the day the safe is still made of wood. 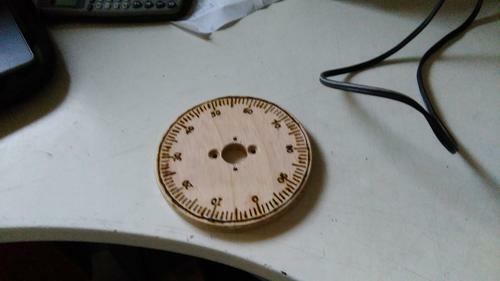 I decided to combine the Nautilus door locking mechanism into the combination lock because just making the combination lock was way too easy. 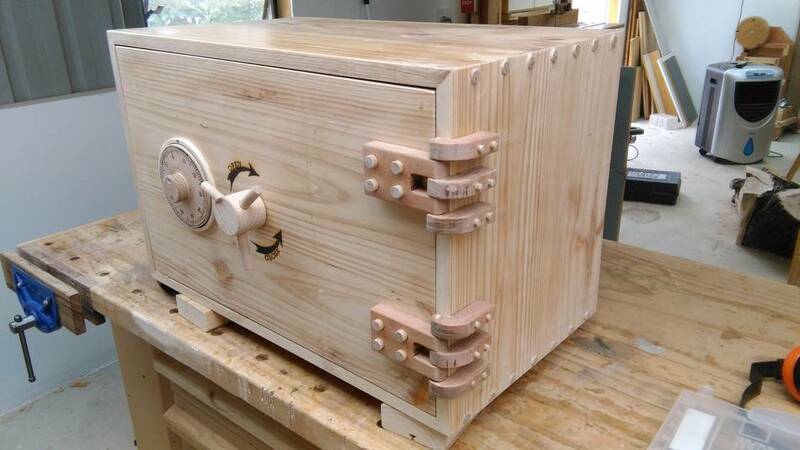 I used acrylic for the back of the door so that people can see all the hard work put into the safe. 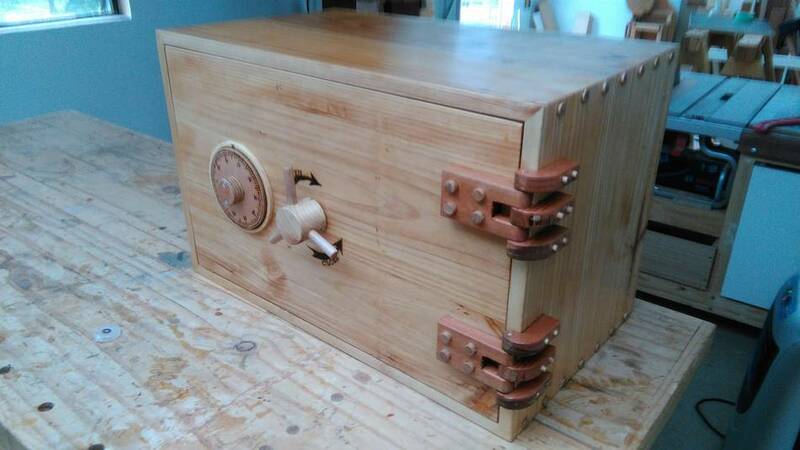 The box, or the safe. I picked up the wood from a huge cabinet that had really nice solid wood panels. 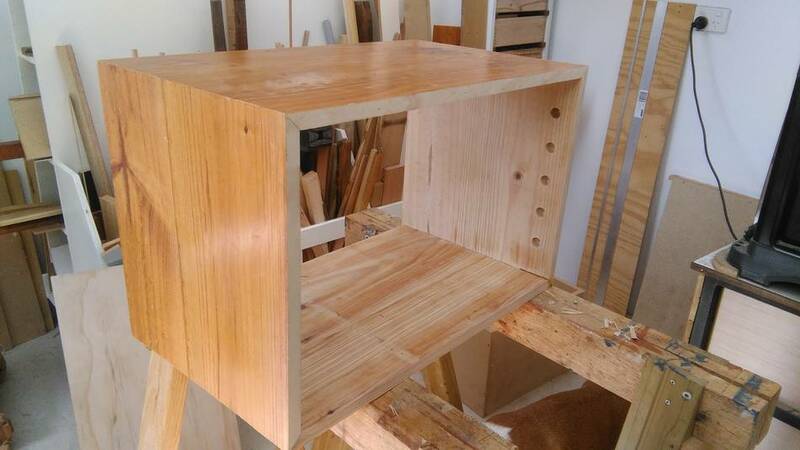 I would have used your box joint jig to join the corners if it was five centimeters narrower, so I just used a mitered joint which proved my table saw to be horrible at making miter cuts. 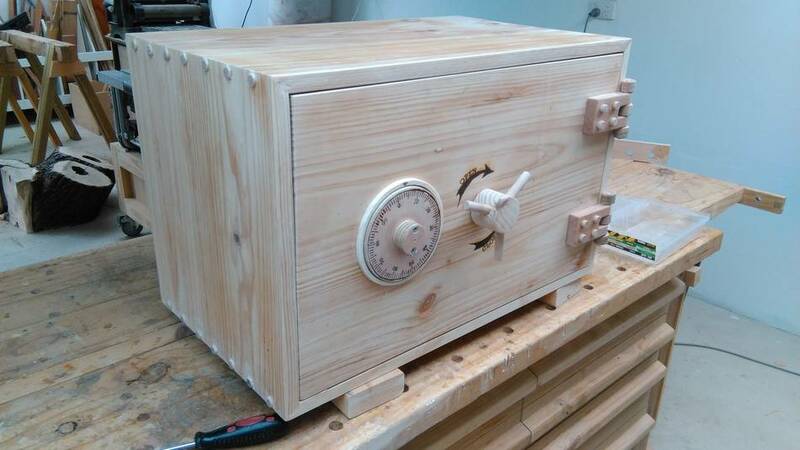 When assembling and testing the entire thing, I left the back off so that I could still tweak the combination lock. The front view of the safe and getting ready to install the hinges. When everything was working as it was supposed to, I burnt the numbers onto the combination dial and also the close and open sign for the hand wheel. 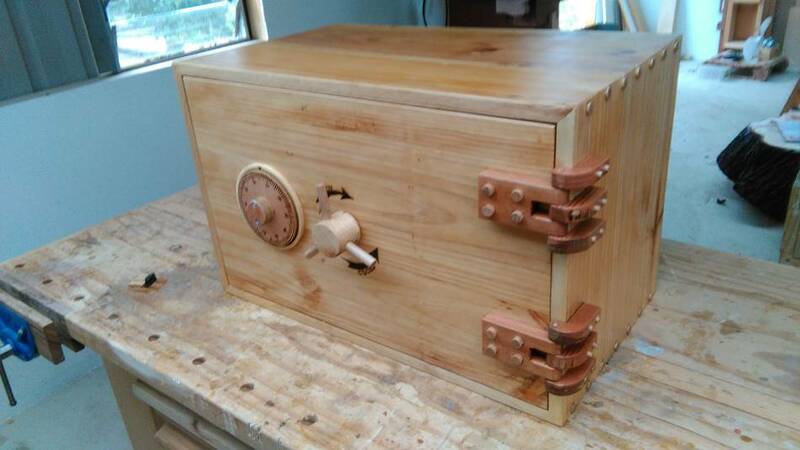 To make the safe as tough looking as it could, I pinned the miters with exposed dowels, imitating the huge bolts exposed on metal safes. I also added four more hinge fingers to the safe because the original two just weren't strong enough, especially when the shape doesn't respect the wood grain direction that much, so I also added splines to the four new hinge leaves. The mechanism inside, and finally working perfectly after adding a brush to the rotors (to keep them from freewheeling) and four guide rails to the door locks. 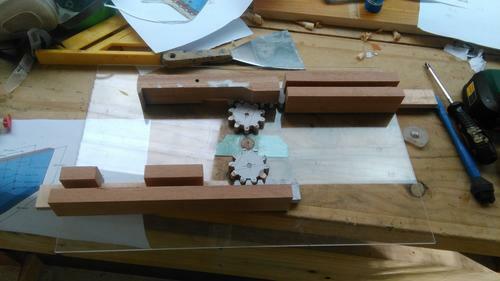 Then I took everything apart and wiped a coat of varnish on even though the manufacturer did not recommend wiping it on, but it worked out a lot better compared to brushing it on because it didn't add too much thickness to the components and therefore everything still worked when I put it back together. The safe completely finished, although I did have to change the Tasmanian oak axle in the hand wheel to a spotted gum axle which was incredibly difficult to make but was well worth it.